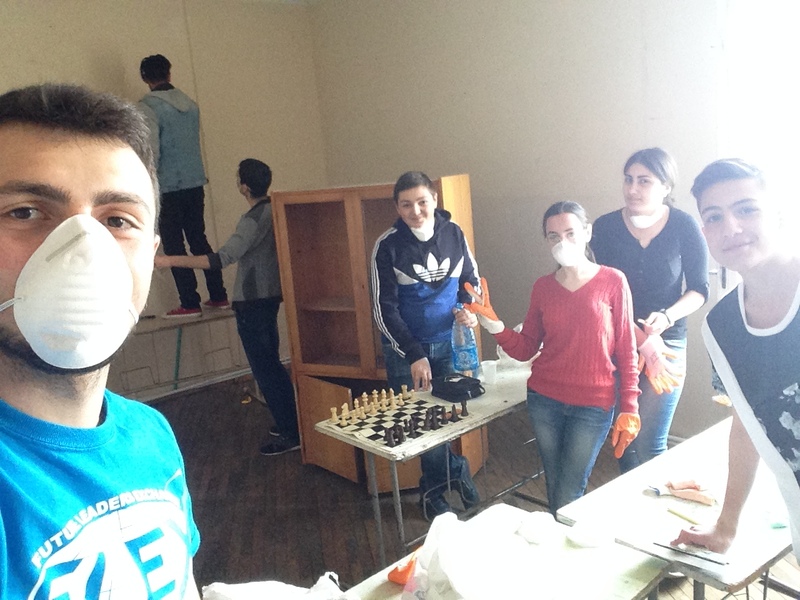 From April 15-25, Arsen Mazmanyan ’15, Ani Arakelyan ’15, and a team of local volunteers renovated a classroom at Vanadzor School #2. During the ‘The Best for Students’ project, volunteers removed old paint from the walls and the ceiling, filled holes and cracks in the walls, and entirely repainted the room. The FLEX alumni also replaced old electric wiring and changed wallpaper. 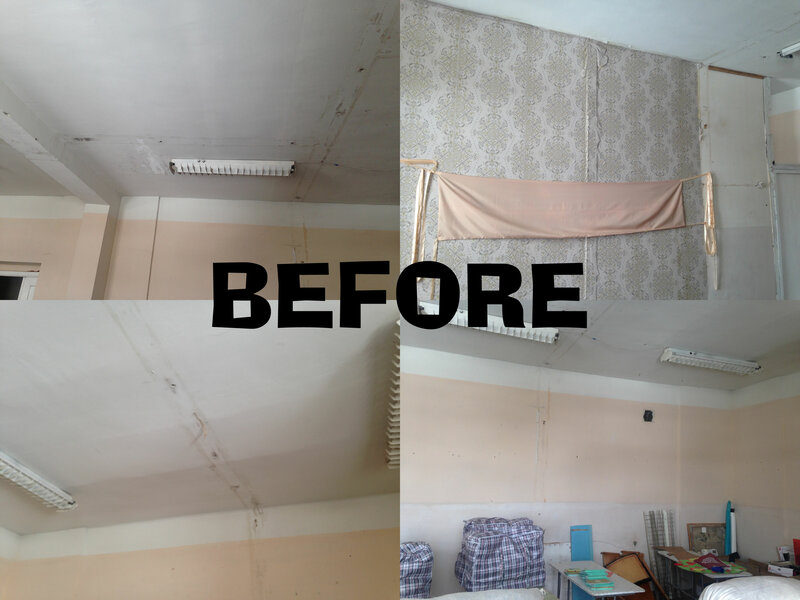 ‘The project wasn’t just about renovating a classroom. It was about bringing the community together and making new friends. 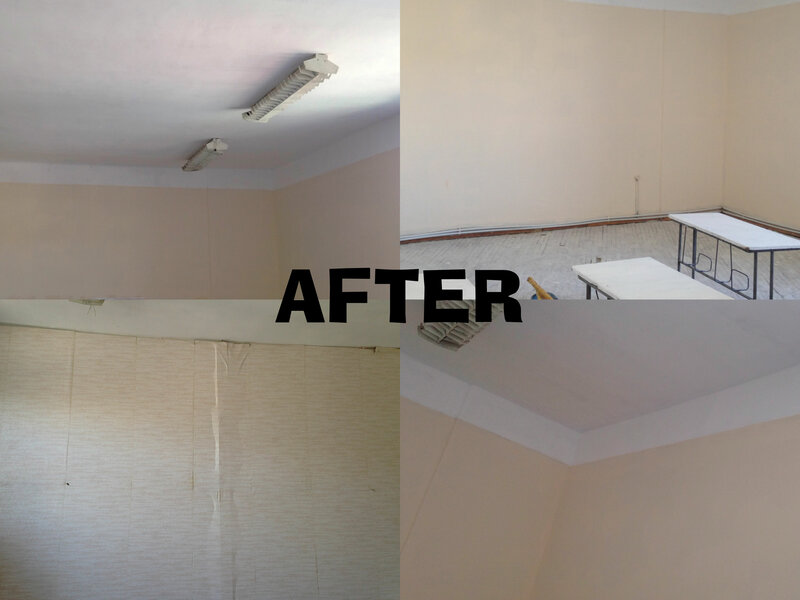 Even though we hadn’t expected that removing old wallpaper would be so tricky, we had a lot of fun,’ says Arsen. As a result of this renovation, the classroom has become a more comfortable, safe and inspiring space for learning. The project has strengthened the community ties and served as a starting point for future initiatives. Moreover, the school administration offered to host the FLEX program testing in the future.